Definitely don’t like cooking on a 95 degree day, but we still have to eat! Quick sandwich to the rescue! Ari named it an Italian BLT. 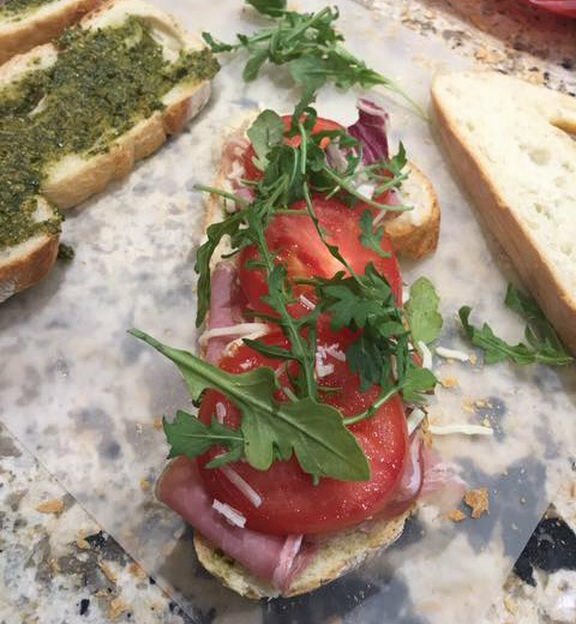 We made fresh pesto with basil leaves from our garden, then we spread the pesto on a slice of Italian bread, layered on prosciutto, mozzarella, sliced tomato and arugula, and another slice of bread on top. Toast it on the griddle or in a frying pan and done! So good! Our homemade pesto recipe is below. 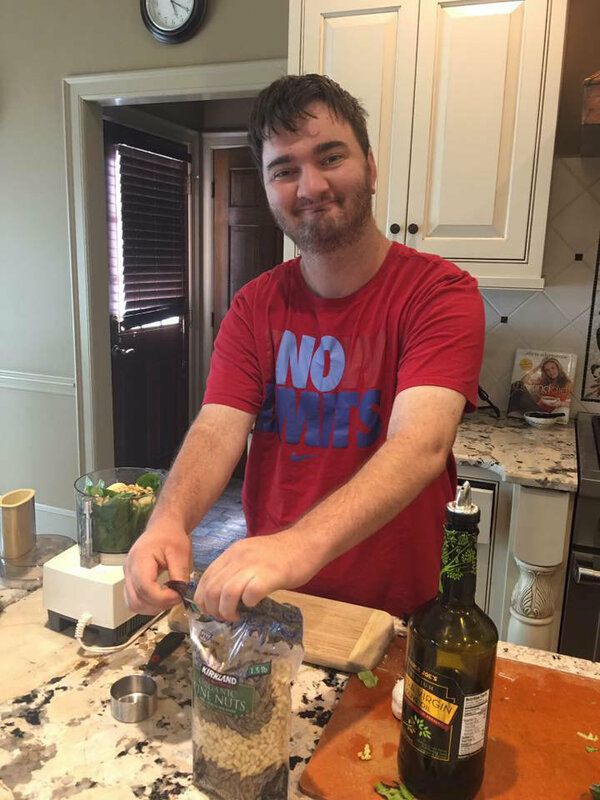 Making pesto. Needs a shave. NO LIMITS. Combine all ingredients, except olive oil, in a food processor until it turns into a paste. With processing running, gradually add olive oil until the consistency of pesto (about 1/2 cup olive oil).